10 PC. SPRING VALUE SET | American Plastic Toys Inc.
Pails, shovels, oh my! 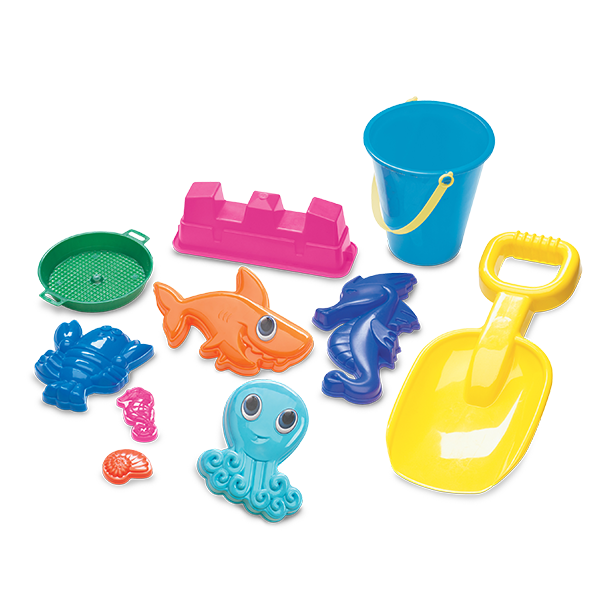 This is a great set for the beach or sand box. It includes a large shovel, a pail with handle and shovel, a castle mold, a sieve, four large sand shapes, and two small sand shapes. Packaged in a mesh bag with a colorful header card.